These small Firemen 'Loyal to Our Duty' Stick Flags are ideal for use in parades and are also a great way to decorate firemen's graves in recognition of the sacrifices they have made. They come in two sizes and are both affordably priced and durable. 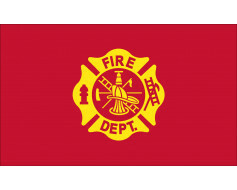 Two sizes available - 4x6" and 12x18"
If you're looking for small firefighter stick flags that are affordable yet durable and sturdy, look no further than our Firefighter Stick Flags. Whether you're using them in a Memorial Day parade or you're displaying them outdoors alongside firefighters' graves, these flags are up to the task. 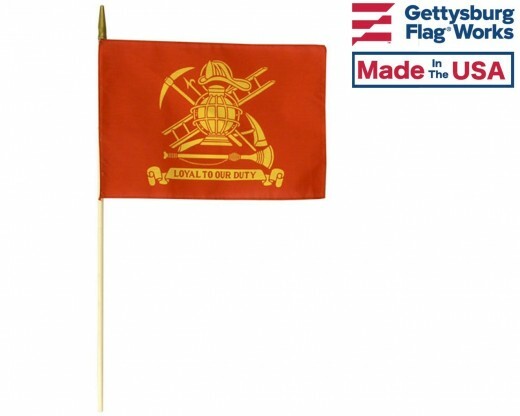 Our 'Loyal to Our Duty' flags are a great way to honor and recognize fallen heroes. 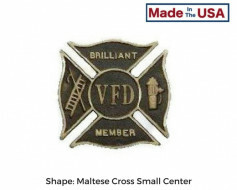 They look especially nice when displayed with firemen grave markers or custom fire department grave markers. 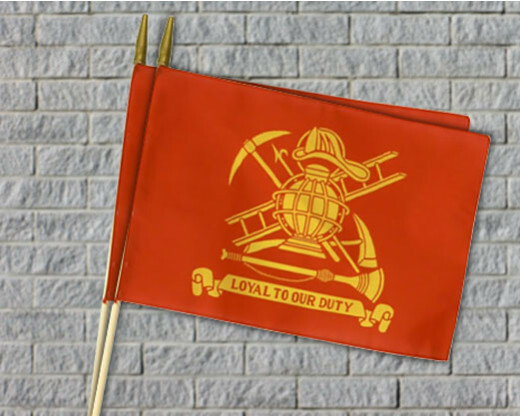 Have questions about our Firemen 'Loyal to Our Duty' Stick Flags? Contact us online or give us a call at 1-888-697-3524 and we'd be happy to assist you. I purchased your flags and want to say thank you for the very fast shipping. The flags are exactly as described. I would definitely order from your company again. Thank you!!! I recently purchased these flags to be placed on the graves of our departed members. The shipped out and arrived as promised and when promised. 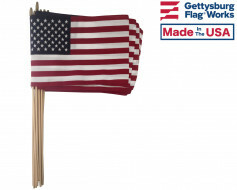 I buy about 60 a year and will continue buying them from Gettysburg Flag. An honor to be able to place flags to honor past members of our department. 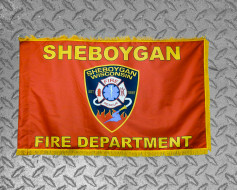 I purchased these flags to honor our past fire department members who are buried at our local cemetery. The flags are placed just prior to Memorial Day and remain, marking a former members grave through July 4th. The flags are a tribute to the members who sacrificed and dedicated their time and talents for the safety of others. The flags are of high quality and last the entire season even through weather extremes and visitors to the cemetery show their respect to each individual. I recently purchased these for a 9/11 tribute, after using and doing the tribute last yr plenty of great comment of my display have purchased 288 more, and this yr will do a tribute for the 343 firefighters that lost their lives that day. The flags are rugged and durable, sticks sturdy.